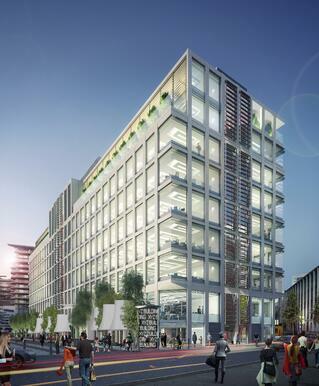 As construction on the flagship XYZ Building in Spinningfields progresses over the next year, we're set to deliver an electrifying, integrated programme of PR, marketing social media and digital technology. We are hugely excited to be working alongside Allied London to establish XYZ in Manchester and support the wider concept ahead of future potential XYZ developments. XYZ is much more than a building at the heart of Spinningfields. It's a truly novel concept and one that we believe will set the bar for future work/live developments globally. To reflect that, we will not only be raising awareness of the landmark XYZ building, and its place in the heart of Spinningfields, but delivering a wider campaign to position XYZ as a global real estate solution that sets a new benchmark for workspace. To that end, our campaign will not only involve traditional media relations, but exciting events and cutting-edge digital technology to establish the XYZ philosophy ahead of the building’s completion in 2016. Work is already well underway on the 160,000 sq ft grade A office space, which offers 20,000 sq ft floor plates and more than 30,000 sq ft of public amenity space. Once completed XYZ Spinningfields will provide a benchmark for commercial buildings in terms of design, culture and intelligent features.